One hundred years ago, there was no Remembrance Day. Wars were far away things which tended not to empty whole villages, remove generations of young men from the gene pool and were not fought on an industrial scale with industrial weapons. In their remoteness, they were perceived as the stuff of adventure and honour. So no one really was all that bothered about cenotaphs and poppies and veterans doing their bit for our freedom. It only took four years to change that. Men were told they were marching off to a war they would return from by Christmas. It would be a jolly jape with your mates and a bit of a sabbatical from the drudgery of the factory or being in service or a farm hand on an estate. They would return by Christmas but not Christmas 1914. The reason we have cenotaphs and poppies is because those young men marched off to a nightmare; a contagious nightmare which made people confront a very real human tragedy that all could take credit for. It seems that we all had a taste for war and glory. We discovered that we could send someone to go and die for their country with relative ease. 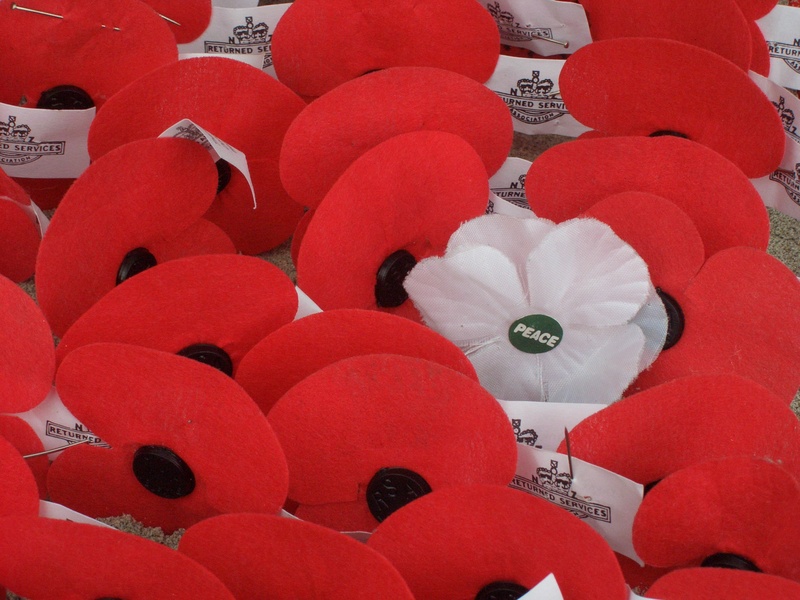 There is an argument that we don’t need Remembrance Day anymore, but I’m not so sure that is true. We can argue about tone and style, but if we use today properly, as a pebble in our shoes, then we will always require today because we always send people to war. This month British troops are coming home from a war in Afghanistan which has gone on 3 times as long as the first world war and has cost over £30bn. True, the casualties are much lower and the war was much “cleaner” but after all that expenditure in time, lives and treasure if you asked 100 people what was achieved you’d get probably 85 versions of “I’m not really sure”. For Christians, today should be a day of tension. That tension is caused by believing that Jesus’ death and resurrection inaugurated the Kingdom of God, that we can firmly plant our lives in that Kingdom as we await its coming in all its fullness. We can interpret reality not with the question “What would Jesus do” which is more about earning reward points, but rather “does this look like the kingdom” which is about the compatibility of my life with the reality that God is revealing. In the beatitudes in Matthew, Jesus lays out a sort of manifesto that describes that kingdom life. It looks cryptic and alien because our lives are so far out of whack with them. But when we commit to living them, and letting today be a day of practicing them, we find ourselves transformed in the process. Today we remember blessed are the peacemakers. Peacemakers believe that war is not inevitable, that often there are deeper “non-kingdom” agendas at work in the demands for war and question the value of the sacrifices demanded for those agendas. We, like Jesus, ask the hard questions and wait for legitimate answers. As we learned from the First World War, national leaders saying, “Trust us” is not a good enough answer to go to war on. There are times when we will not get a perfect situation where we can say no, there will be times when war is “unavoidable” but there is never a time when war is a default position. Peacemakers know that. However, this is real flesh and blood we are talking about. These are sons and daughters and friends and workmates. I was at a school event this week and one teacher spoke about a classroom discussion about the First World War. She said the best part of it was when a child said, “There must have been upset Germans too”. The beatitudes also tell us that those who mourn are blessed. Those who lament with God that we haven’t found a better way of sharing the planet and brushing up against each other. That we haven’t learned to see flesh and blood as too high a price to pay for ideas and economics and unattainable security. To lament that for every name on a cenotaph or war memorial there is another ten whose lives will feel empty and shattered. Today does need to exist, but as a godly irritant day where we remember that, to quote Paul, we have fallen short of the glory of God and to shed tears to lament the cost of that state of affairs. This entry was posted in Uncategorized and tagged Beatitudes, First World War, Mourners, Peacemakers, remembrance sunday on November 9, 2014 by newnortherner.